Xiu Xiu, the extraordinary experimental band led by singer/songwriter Jamie Stewart, has been throughout its existence a truly innovative act. Undergoing multiple transformations and never standing still Xiu Xiu has explored the edges of abstract pop, expanding these with noise elements and an alternative rock form. This adventurous spirit has led them to some strange combinations of styles, ranging from cheesy power pop notions all the way to repetitive electronic components. All these attributes have elevated the band into an art rock dimension, highlighted further by avantgarde notions and an intriguing sense of improvisation. In 2017 the band released Forget, an ambitious work that saw them channel their creative spirit into a more straightforward concept. The album itself was not an easy ride, and through its duration, the avant-garde and forward-thinking motifs played a central part, but so did the more defined progression, catchy rhythms, and bombastic renditions. Xiu Xiu's return with Girl With a Basket of Fruit takes a step back from the work they presented in Forget, as the band dives back into their realm of complexity. It is an attribute that starts with the rhythmic backbone of the work, which takes a freer improvisational perspective, rather than the staccato and more predictable approach featured in Forget. The bizarre percussive element is the driving force of many of Xiu Xiu's works, and it takes a pivotal position for the band's new endeavor again. 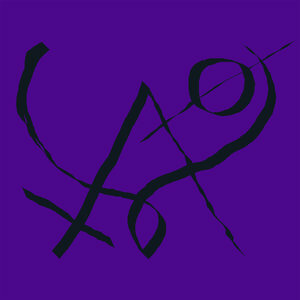 The title track introduces this quality and Xiu Xiu's impressive ability to create a relentless and chaotic rendition. "Scisssssssors" follows this approach, diving into a completely bonkers progression, causing the rhythmic component to become almost obsolete. The various morphings of the rhythm continue to occur, with the band letting in an icy industrial touch with "Mary Turner Mary Turner", something that creates a much more imposing and cyber-like pace. On the other end, the more primal, tribal touch of "Ice Cream Truck" or the latter part of " Scissssssors" create a strange sense of ritualism. As polymorphic as the rhythmic component of Xiu Xiu might be, it is still only the tip of the iceberg. The band travels to different dimensions in this work, with an ambient quality making an appearance in "Amargi ve Moo", which reveals a completely different facade from the rhythmical, chaotic quality of the earlier tracks. A solitary cello is forging the background while Stewart's erratic rendition creates a mind-boggling result. This approach inhabits a strange neo-classical space, but the band also warps this creativity towards a free jazz paradigm, as in "Ice Cream Truck". The final touch is placed when the electronic component of Xiu Xiu's vision turns towards an industrialized flavor, with the monotonous pacing of "Pumpkin Attack on Mommy and Daddy", where the impressive use of sound design techniques sees the sound take on a terrifying manifestation. The band's playfulness with both sound design and the use of sound effects is another excellent attribute of Girl With Basket of Fruit, as it sees them approaching this aspect with a more extravagant desire. These methods see them turning the background of the title track into a haze created by the bursts of energy and an impressive sonic collage technique. It is something that adds to the ambient quality of the work, making this descent into the abyss that much more potent, as is the case with "It Comes Out As a Joke". Through these manipulations of tempo, genres, and ambiance, the aspect that stands out further is the vocal delivery of Stewart. In the chaotic parts of this work, it is equally disturbing to the rhythmic component, as the cutthroat, processed vocals arrive with intrinsic desperation through a plethora of manifestations. However, what is admirable is how Stewart twists all that from one track to the next, and suddenly delivers moments of impressive sonic beauty, as is the case with "The Wrong Thing". Xiu Xiu suddenly leave behind all this carnage and instead create moments of grandeur, something that is undeniable for a track like "Normal Love", with the impressive performance and the melodic piano lines beautifully closing the record. It is this polymorphism of Girl With Basket of Fruits that really shifts Xiu Xiu from their work in Forget, and sees them evolving further.